A thermostat is a control system that can sense the temperature inside your home. 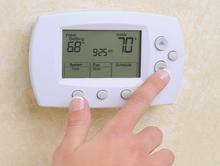 Thermostats maintain a desired temperature by switching the cooling or heating units on and off. 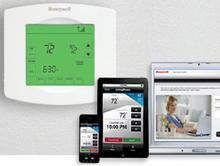 These days, there are a variety of thermostats with different features and functions. Cool Masters Heating and Air can help you decide which type is best for your home. We take pride in our wide selection of quality products. 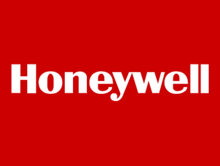 All of the products we offer are from trusted brands; such as Honeywell. Monitor your home from anywhere!! Just ask us how. We recommend that in the summer thermostats be set at 78* and for winter set at 68*. Energy use will increase 3-5% for every degree the thermostat is set lower than 78* in the summer and higher than 68* in the winter. We also recommend installing a programmable thermostat.